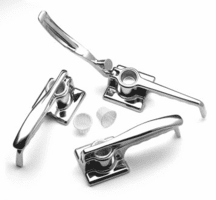 Scroll down to see our selection of Pill Crushers and Accessories for sale. Pill Crushers. Visit our pill crusher page to find the pill crusher that works best for your need. We carry a large selection of different brands and types of pill crushers and pill crusher accessories, including heavy duty metal pill crushers for those hard to crush pills, hand held pill crushers, silent knight pill crushers, electric pill grinders, pill crusher mortars and pestles. Look to us for all your pill crushing needs and supplies. Pill crushers are devices designed to reduce pills and caplets to a powder form. Pill crushers are typically a tabletop unit with a manual handle mechanism to apply pressure to crush the pill and a deposit into a separate container (e.g., plastic bag or cup) however some pill crushers may be electric powered. Pill crushers are used mainly in healthcare facilities and at home to facilitate the intake of drugs or vitamins, either directly or mixed with liquid or soft food. You always want to use a cup or bag with the pill crusher to prevent cross contamination of the different pills, this is especially important in the facility environment where more than one patients medications are crushed. The way most pill crushers work is by inserting the medication into a bag or cup, then lowering a crusher handle down that breaks the pills up. Then the pills are rotated and crushed again. Repeat until the desired powder consistency is reached. Some pills have a special coating and are time released, consult your doctor to make sure the medications are ok to use in a pill crusher..